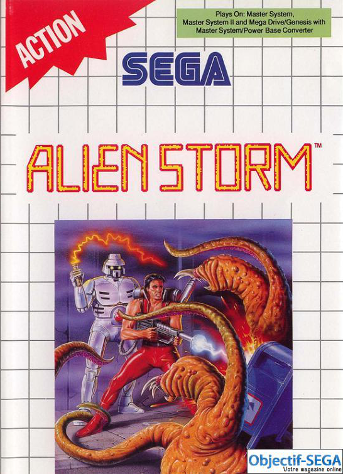 Alien Storm on the Master System is a severly scaled-back port of the Genesis version. 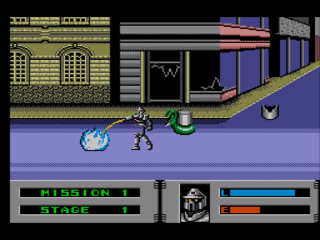 It's single-player only, only Slammer and Garth are playable, there are only three simultaneous enemies, and certain attacks were removed. 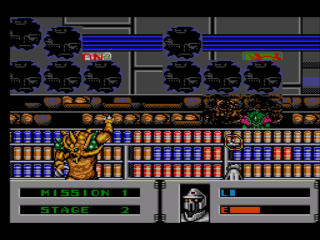 However, it still retains the original's "triplicated fun" in the form of traditional brawler stages, auto-scrolling shooter sections, and first-person turret stages. Shape-changing alien scum take over your city. 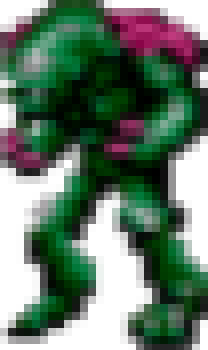 Fry the slimy horrors and smash their bid for global conquest. Blast into action with fire blazers, electric whips and more! This port lacks the ability to jump. You can still roll and do dash-attacks, however. 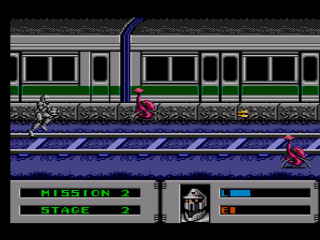 In the original and Genesis versions, the robot is named "Scooter." In this version, he's known as "Slammer." 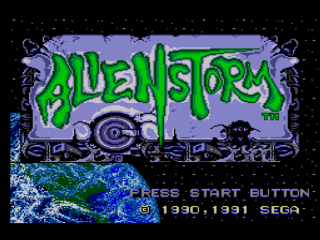 Alien Storm is a decent port of Sega's overlooked arcade brawler, at least considering it's on the Master System. Of course, it's heavily scaled back, although it does have all the variety stages intact. 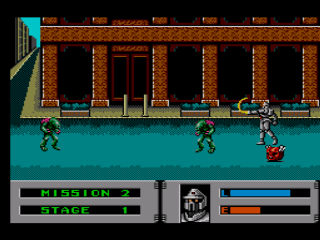 Like most SMS games, the graphics and sound are passable but not amazing. Its challenge level and length are both moderate.